Fuel cell systems offer great potential to enhance endurance of small unmanned aerial vehicles (UAVs), due to their high energy density. However, their power density is very low, requiring aircraft optimized for low power consumption and well matched propulsion system components. 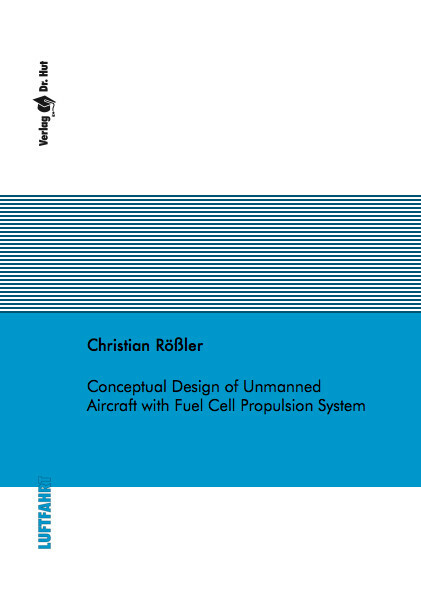 Therefore a multidisciplinary design method for small UAVs with fuel cell propulsion system has been developed in this thesis. The design and sizing of the propulsion system has been fully integrated into the design process. Furthermore a new method for calculating part throttle efficiencies for the electric powertrain has been developed. All propulsion system components are calculated and selected based on manufacturer’s data. With this approach high fidelity is achieved and the time for the realization of a demonstrator aircraft is considerably reduced.